FEMEN / ФЕМЕН | Came. Stripped. Conquered. / Прийшла. Розділась. Перемогла. 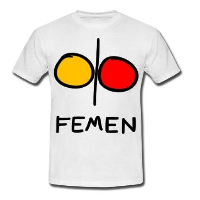 This entry was posted in EN on April 5, 2013 by FEMEN.